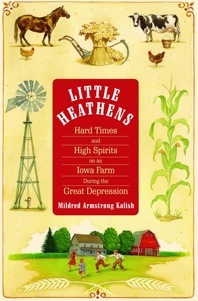 With the subtitle “Hard Times and High Spirits on an Iowa Farm during the Great Depression,” this charming memoir was voted one of the 10 Best Books of 2007 by the New York Times. Kalish lived with her siblings, mother and grandparents both in a town home and, in warmer weather, out on a farm. The lifestyle was frugal in the extreme, but in spite of the austere conditions, Kalish's memories are mostly happy ones. Simple, detailed and honest, this is a refreshing and informative read for anyone interested in the struggles of average Americans in the thick of the Great Depression.